For the ultimate in comfort, look to the Moschino® Crisscross Triangle Bra w/ Black Moschino Band. Leopard printed triangle cup soft bra. Two-column, three-row back hook closure. 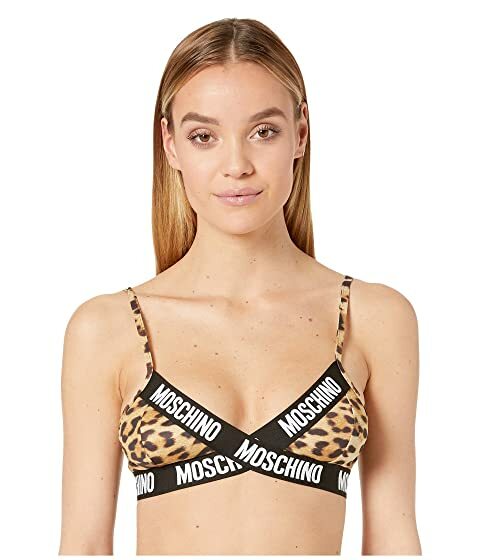 We can't currently find any similar items for the Crisscross Triangle Bra w/ Black Moschino Band by Moschino. Sorry!